A new Gauge object is available in the web-client toolbox. The gauge can show up to 3 blocks . It is also possible to setup min/max threshold values . Four Gauge styles available in the configuration panel. The Entity Editor object has been added on the web application. This object act as a pager with the ATO enabled. It is available under the toolboxes list when in edit mode on a capsule screen. The ATO options can be configured through the ATO ENTITIES CONFIGURATION button. The Dataview object now supports the text search functionality when using the web-client. It is now possible to enable/disable the web dataview column header sort on click. This option is available in the dataview settings on the left configuration panel, under the columns section. URLs showed in a web dataview are now clickable. The click action opens a new tab and displays the URL Web Page . Features that are missing in edit mode can be used in play mode. So, if you have a NEXEL in a screen, you can still use it in play mode with the web client. If you need to develop a new nexel, we suggest to keep an update version of the capsule in the old format ".cpsx". 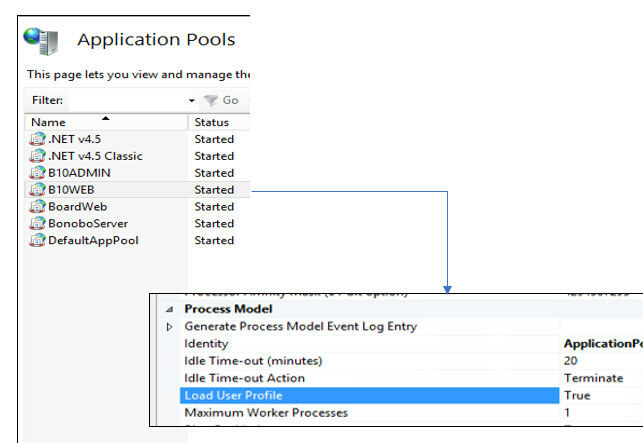 Then, you can create the missing feature with the Win Client and migrate the capsule to be used with the web client. 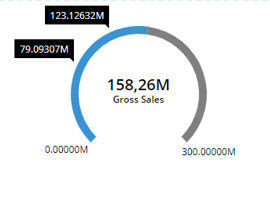 A malfunction in the Web Chart title that was showing a <br> HTML5 tag has been fixed. The files generated by the web printing functionality supports special characters. A service crash due to the execution of a drill through query that returns too many records has been fixed. The limit on the maximum number of records supported on the drill through invocation can be customized. There is a parameter in the AdulaParams.xml file in the installation folder of the BOARD Engine. The parameter is the following: <DrillThroughCutOff>100000</DrillThroughCutOff>. By default is set to 100000. Changing this parameter requires the restart of the BOARD Engine during a maintenance window. The drill through is now logged into the database log. A potential memory leak caused by the dispatcher framework object that was freezing the web application has been fixed. The edit layout feature is now available on drill down layouts in the web application. A malfunction in the dataview with scrollbars and the focus on columns with an action configured on it has been fixed. Version 10.5 introduces a full web HTML5 client. Capsules that are created from the web client have a new format: ".bcps". The old ".cpsx" capsule can be still used in play mode in the old format. Old capsule in ".cpsx" need to converted into the new ".bcps" format to be used in edit mode on the web client (a common web browser). The migration process is automatic and documented HERE. The system will retain a copy of the capsule in the old format renaming it with the "(BKP) tag in the capsule name. The ".bcps" capsules cannot be opened from the BOARD Windows Client. The broadcasting features (subscription, send to and broadcasting) require an additional service that execute the mailing function. The web API Engine installation (self-hosted) deploys a new service "BoardMailerService" that is used for the Broadcasting like functions. If the Web API Engine has been deployed under IIS, this new service is not automatically deployed on the instance. An additional set of CMD commands must be run on the server to deploy that service. 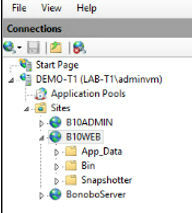 Where "C:\inetpub\wwwroot\B10WEB" is the IIS path where the BOARD web application is hosted. This features relies on a Windows process (Board.Web.Snapshotter.exe) that requires the installation of the .net Framework 4.7.1 . Please notice that this version of the .NET framework requires Windows Server 2012 or later. After upgrading the Board Server it is required to upgrade all Board Client and Office Add-in installations to the same version 10.5. A Capsule created or saved using version 10.5 can't be re-opened with an older version such as version 10.3.x or even older.